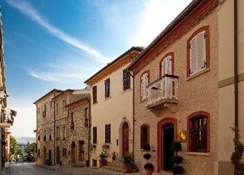 Verucchio is located in the lower part of the Marecchia Valley, on the border of the historic region of Montefeltro and the oldest republic in the world, San Marino. Its formation, together with Monte Titano, Montebello, San Leo, Monte Montone, the Sasso of Simone and Simoncello, derives from the Apennine orogenesis, which definitely settled in the Pliocene Superior (almost 3 million years ago). 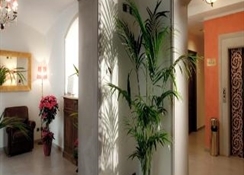 The centre of San Marino with its shopping venues is approximately 8 km away while Rimini railway station, the beach and the sea are all around 15 km away from the accommodation.The 31-room hotel is a historic hotel with great views set in the centre of Verucchio. 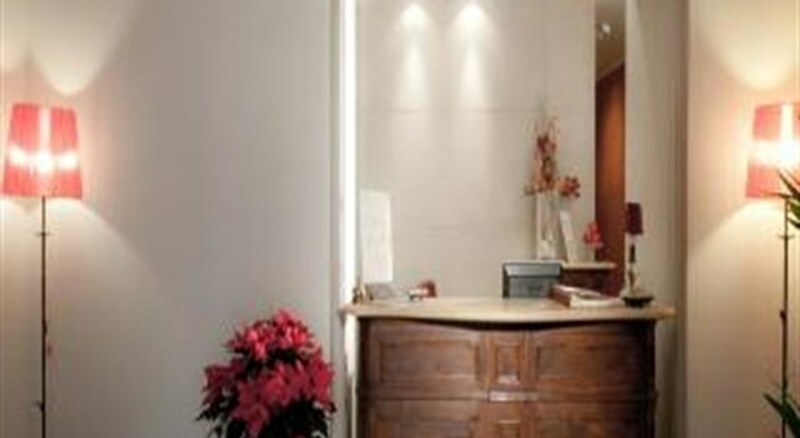 It provides free wireless Internet access and complimentary parking facilities and has a unique spa centre. 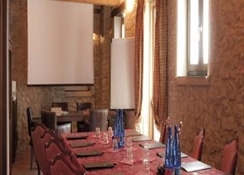 In addition to a lobby area with 24-hour reception and check-out services, hotel safe, cloakroom and lift access to the upper floors, further facilities available to guests at this air-conditioned city hotel include a cafÃ©, newspaper stand and a bar, as well as an auditorium, restaurant, conference facilities and room and laundry services.In addition to a private bathroom with a shower and hairdryer, in-room amenities include a direct dial telephone, satellite/cable TV, Internet access and a minibar, as well as tea and coffee making facilities, an iron and ironing board and a double or king-size bed. Further standard features of accommodation units include air conditioning and heating, a safety deposit box and a balcony/terrace.A spa area completely established in the ancient caves' carved tuff is located below the hotel where guests will find a sauna, Turkish bath and a luxury indoor pool with a hot tub area (32ÂºC). Furthermore, guests can enjoy aromatherapy, colour therapy, a waterfall, tropical flavoured showers and heated beds for relaxation. Fans of the fairway can head to the nearest golf course, Rimini Golf, which is approximately 2 km away from the establishment. 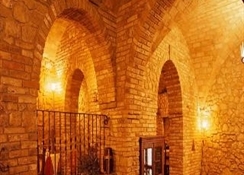 A Wellness area completely established in the ancient caves carved tuff, located below the hotel where find emotional sauna, Turkish bath, Luxury pool with jacuzzi area (32º), aromatherapy, color therapy , waterfall, tropical flavoured and emotional showers and heated beds for the relax. 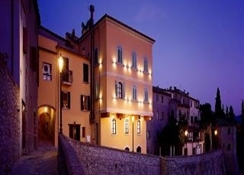 The hotel is a historic hotel with great views set in the centre of Verucchio. It provides free Wi-Fi and free parking and has a unique wellness centre.